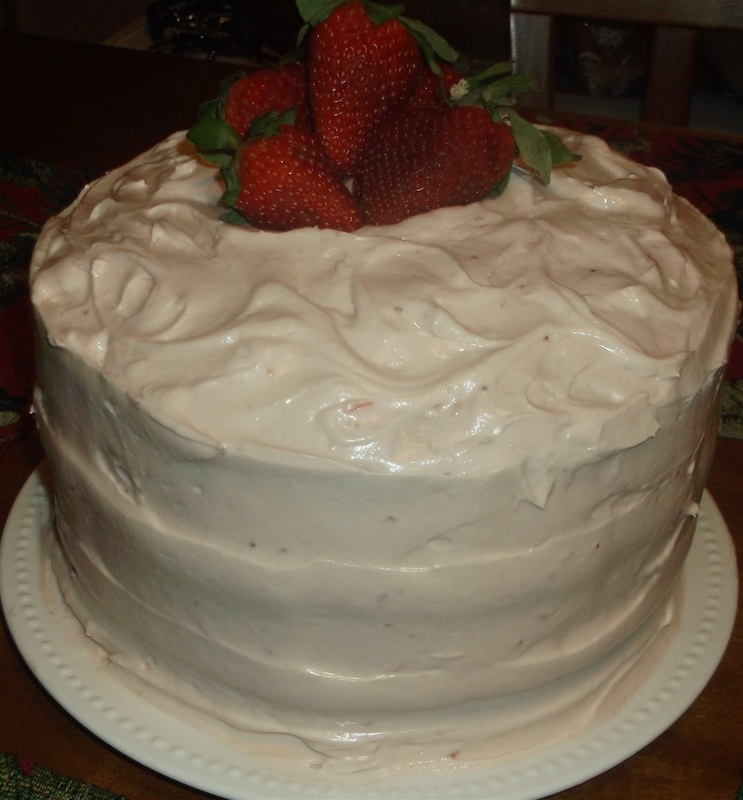 Vanilla Cake with Strawberry Icing. This is a vanilla cake with a pond cake like texture. Strawberry flavored icing.